It is frustrating, isn't it? Your nonprofit has just crafted the perfect blog post. You did all your homework, and it is high-value content. Yet, after publishing it, the response has been a bit lackluster. Where could you have gone wrong? Was it not as good enough? The Content Marketing Institute reports "as much as 60 to 70% of content goes unused." Therefore, you are not alone. One likely problem is a lack of distribution. Even if your nonprofit's website is regularly crawled by search engines, it is not enough. While Moz reports that good content supplies a demand, good content also produces an action, either comments, social shares, or completing a call-to-action. Therefore, your content requires enough organic reach in order to start the ball rolling. This will then starts a cycle of improved visibility, greater engagement, higher search placement, and more organic traffic. Distribution is your nonprofit's natural ability to get your blog post seen by as many people as possible. If you don't have the power to get things started, it is unlikely any blog post will generate effective results. The more people you can get to see your post, the greater likelihood someone with significant online clout will see it and share with their many followers. You know you have reached success when your page views and share counts take off. Here are some strategies that work. 1. 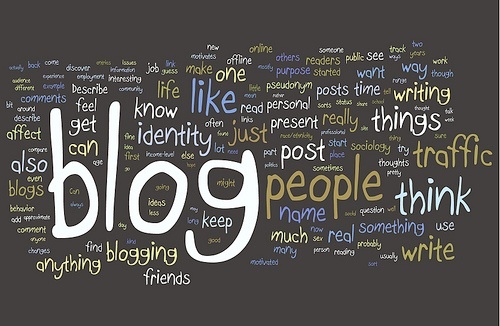 Share your blog post often across your social media profiles. - Social media moves very quickly. Unless you use paid advertising, the half-life of your posts is relatively short. The half-life is the time to expend half a post's value. For example, the half-life of a post on Twitter is roughly 15 minutes, while 100 percent of views and engagement is complete within 45 minutes. Therefore, it is best to repost a link to the blog post using different headlines and article quotes. 2. Consider a paid boost on Facebook. - The number one social media platform is Facebook. The value of getting movement on this network cannot be understated. However, Facebook makes it difficult for business and non-personal pages without paid advertising. However, once people start sharing your content, their repost/share is more likely to be been in the news feeds. So, if your posts on Facebook don't seem to get movement, try spending a few dollars. 3. Share blog posts with influential people - Put simply, an influencer is a person or organization that has a high number of social followers, a significant number of user engagements, and striking organic reach. Try to bring your blog to the attention of an influencer who supports your nonprofit or its mission. If they share it with their followers, you will get a big boost. What haven't we covered yet that is important to you? If you would like to talk about why your nonprofit's blog is not going viral, or need more information, please contact us.